Responding quickly to a complaint can prevent it from escalating, says Dr Andrea Wallington of the MDU. It is never nice to be the subject of a complaint, but by responding quickly and sympathetically to a patient's grievance, you could take the sting out of complaint, and prevent it from escalating. Most GPs will face at least one complaint during their professional lifetime. Some may be fairly straightforward to resolve, while others can raise more complex issues, such as when a patient has died and the family blame the GP. If you receive a complaint as a registrar, it is advisable to seek advice from your GP trainer. Patients who complain often want one or more of the following: an explanation of what happened and why; assurance that it won't happen again; an apology; and/or financial compensation. When a patient makes a complaint, the MDU advises doctors to apologise where appropriate. Telling a patient 'I am sorry this has happened to you' is not an admission of liability and may be all the patient wants to hear. In its guidance on Good Medical Practice (2006), the GMC advises: 'If a patient under your care has suffered harm or distress, you must act immediately to put matters right, if that is possible. 'You should offer an apology and explain fully and promptly to the patient what has happened, and the likely short-term and long-term effects. Record the date when a complaint is received. If the complaint is verbal the substance of the problem should be recorded in writing, with the name of the complainant, and the date on which it was made. The complaint should be acknowledged within three working days (within two in Wales). For verbal complaints, to avoid misunderstandings, it is a good idea to outline the key points of the complaint in the acknowledgement. A full, detailed and positive response should be provided within 10 working days of receipt (20 working days in Wales). If you cannot respond within this time limit, inform the complainant, give reasons for the delay and advise when they may expect a response. Your written response should be professional, measured and sympathetic in tone and should include your full name and your relationship with the patient (for example, GP registrar). Try to avoid jargon or medical abbreviations and write in the first person. Your response should stand alone, give a factual chronology of events as you saw them and as far as possible should address each and every concern raised by the complainant. You should also specify whether individual details are based on memory, on contemporaneous notes or on your usual practice. It is also important to say not only what you found, but also what you looked for and failed to find. 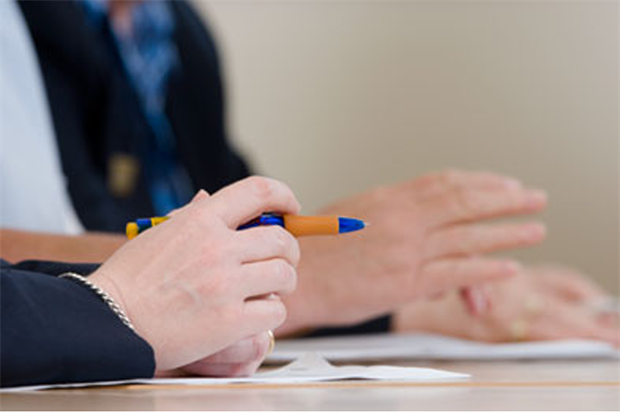 Your medical defence organisation can help you with drafting a response. Under no circumstances attempt to alter the notes. You can explain any discrepancies in your factual account. It can be useful to offer the complainant a meeting, perhaps with the assistance of a conciliator, to discuss the concerns raised. Respect patient confidentiality - if a complaint is from someone other than the patient, you must ensure the patient has given their consent before you can disclose clinical information to a third party. The final response should inform the complainant of their right to refer the complaint to the Healthcare Commission (in England) within six months of the conclusion of local resolution, if they remain dissatisfied. Different second-stage procedures with different timescales apply in other parts of UK. It is advisable to consider the complaint as part of your practice's significant event audit. The good news is that over 90 per cent of complaints notified to the MDU are resolved at practice level. Speed, sympathy and a willingness to listen along with an explanation, an apology where appropriate, and an assurance that steps have been taken to address concerns and prevent a recurrence will count for a lot. Make sure you deal with complaints in a professional and conciliatory manner and try not to take any criticism personally. Seek advice from your GP trainer and from your medical defence organisation. When a patient makes a complaint provide an explanation and apologise, where appropriate. A simple 'I am sorry this has happened to you' may be all the patient wants to hear. Provide a written response that as far as possible addresses each and every concern raised by the complainant. It can be useful to offer the complainant a meeting, perhaps with the assistance of a conciliator, to discuss the concerns raised.